New to the neighbourhood? Or do you have a new neighbour? Perhaps the front yard in a new home in our neighbourhood would be an excellent host for a heritage oak sapling from one of our very own Champlain Oaks. The parent trees are Bur Oaks that pre-date Confederation, and preserve the genetic code of generations of local Bur Oaks dating back to the retreat of the last Ice Age some 10,000 years ago. Sites with no hydro wires immediately above them are becoming rare in the neighbourhood, and some offer an opportunity to re-establish these important forest genes. Play a part in keeping Champlain Park a community where trees with scope and majestic beauty have a place not only in the present but also for future generations. 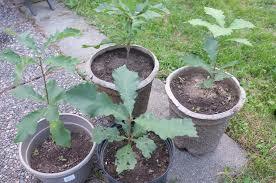 For a special Heritage Oak sapling and tips on planting contact Daniel Buckles (613-722-8048). Check out the indoor and outdoor installations at the Fieldhouse and the blog of the Champlain Oaks Project for more information. Posted on June 30, 2014 by champadmin Comments Off on Heritage Oaks and you! This entry was posted in Champlain Oaks Project, Champlain Park Community Association (CPCA), Community News, Environment and tagged Bur Oaks, Champlain Oaks, Heritage Oak. Bookmark the permalink.